CEDIA - The Custom Electronic Design & Installation Association is the international trade organisation for the home electronic systems industry. CEDIA members specialise in the planning, design, supply and installation of automated home technology systems for the modern, intelligent home. 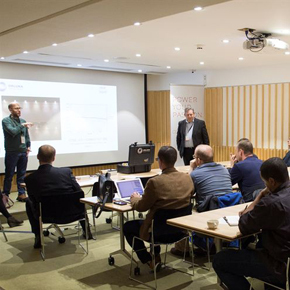 CEDIA has announced Richard Hollinshead of Meridian and Stephen Auld of Dolby Europe as the keynote speakers of its upcoming Tech Forums.